3GP is a multimedia container format for 3G mobile phones, which is a simplified version of the MP4 format. 3GP is an audio and video multimedia container format used for 3G mobile phones, and it was developed by Third Generation Partnership Project (3GPP). 3GP is a simplified version of the MP4 format and was designed to make a smaller video size so the video capture can be played on mobile phones. Generally speaking, files formatted in 3GP can be encoded and decoded with open source software FFmpeg. 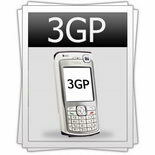 There are two different standards of 3GP: 3GPP and 3GPP2. 3GPP is used on GSM based cell phones, with the file extension of .3gp. 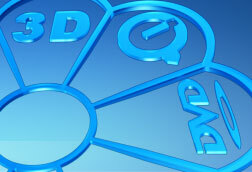 3GPP2 is specially used for CDMA based cell phones, with the file extension of .3g2. When with an ACC and AMR audio, these two different standards are based on MPEG-4 and H.263. 3GP is strict to file content and format. It requires the file format for video, associated with audio or speech media formats. And it is timed the text in ETSI 3GPP technical specifications for Multimedia Subsystem (IMS), Multimedia Messaging Service (MMS), Multimedia Broadcast/Multicast Service (MBMS), and Transparent end-to-end Packet-switched Streaming Service (PSS). Currently, 3GP is the standard format used on the 3G mobile phones, as well as can be supported by some 2G and 4G phones. There are many free 3GP converting software in the market. And it is becoming more and more popular to share 3GP nowadays. It is easy to find those videos in 3GP format through a vast number of free torrent networks, and YouTube. 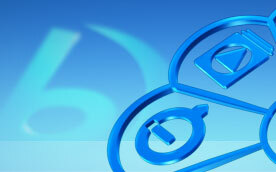 Software like Media Player Classic, The KMPlayer, Totem, RealPlayer, QuickTime, and GOM Player support 3GP as well.